My husband and I found ourselves in the unusual position of both having some free time at the same time one afternoon last week. 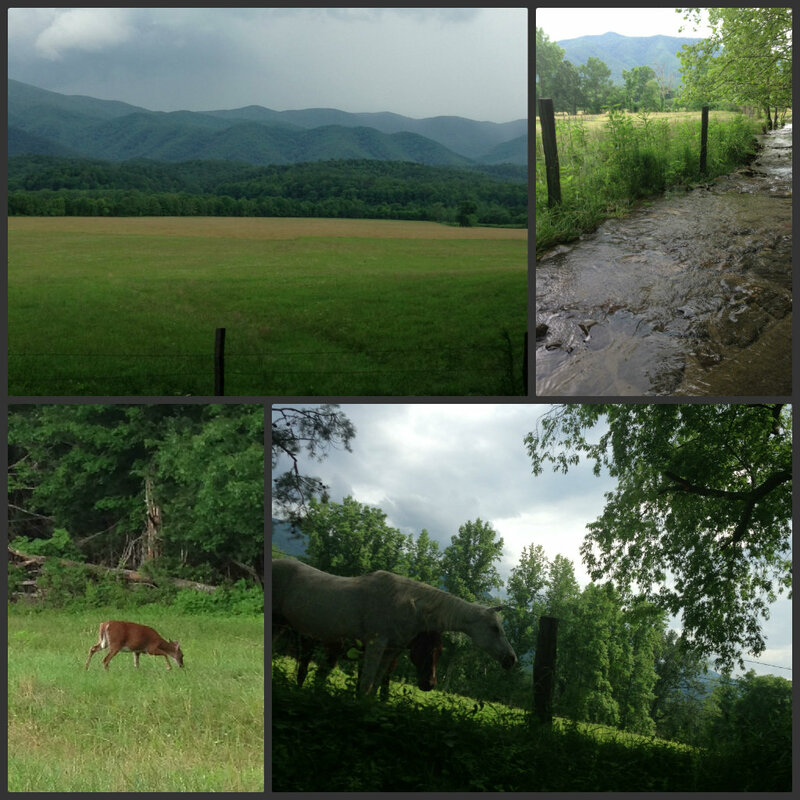 When we combined this with a reason to celebrate, we decided to take some time out and head to Cades Cove. 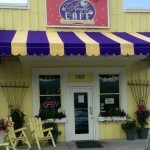 But first, we stopped at a new place we had just heard about from friends, the Firefly Cafe in Townsend. 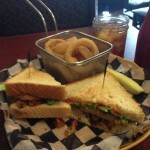 It turned out to be a really neat cafe, with a huge menu for that size of a place… super clean too:) The suggested lunch item was the Fried Green Tomato BLT, which we tried, and it was great! They had a big dessert cooler, filled with interesting truffles etc. 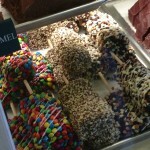 Pictured here are marshmallow pops! After lunch we were off to the Park to Cades Cove … a storm was brewing and the wind blew clouds in over the mountains– always a beautiful sight. We drove slowly around the loop road– there was surprisingly little traffic and the new pull-offs really made it possible for us to travel at our own speed. Wildlife count for the loop road was: 1 turkey, 3 red winged blackbirds, 6 deer, 16 horses and 1 woodchuck. Oh by the way, for those of you interested in real estate for sale in Gatlinburg and the surrounding area– Cades Cove isn’t for sale, it already belongs to all of us!